Sabarimala Abhishekam online booking starts now. Check Sabarimala Poojas Vazipadu list online registration and booking process. Poojas and Prasadams in sabarimala are available to book online now. Due to recent heavy flooding many services are disrupted. But for devotees at present the kerala police strived to make the trip as far as possible. The website sabarimalaq.com was retired and the online pooja booking, Vazipadu services etc are maintained by Travancore Devashom Board only. Of all the services to book online, one must possess below list. Registered User in Online TBD website. Debit card or Credit Card for Payment. Email id and mobile number receipt delivery. Proper Government Authorized Identity Proof. All the above list of services are available to book online with one registration. Visit online tdb website and select sabarimala temple option in menu. Register an user login if you not have one. 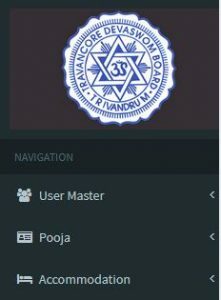 Now visit the profile page and choose vazhipadu or poojas option. Now you need to check whether the services are open for the current season or not. If the dates are open to book now choose the service you require. For Sabarimala Neyyabhishekam all the people must carry their own ghee. Half of it was given back to the devotee after abhishekam. Now finalize all the services and check the reporting time, cost and requirements to bring for the poojas. Pay the pooja fees and wait for payment confirmation. Website allows devotees to use debit card, credit card or Internet banking options. You can also book sabarimala accommodation online with same login details. Leave a comment below if needed any further assistance in Sabarimala Abhishekam booking. I have slot in the evening and will reach in night sanithanam. Is it allowed to stay.